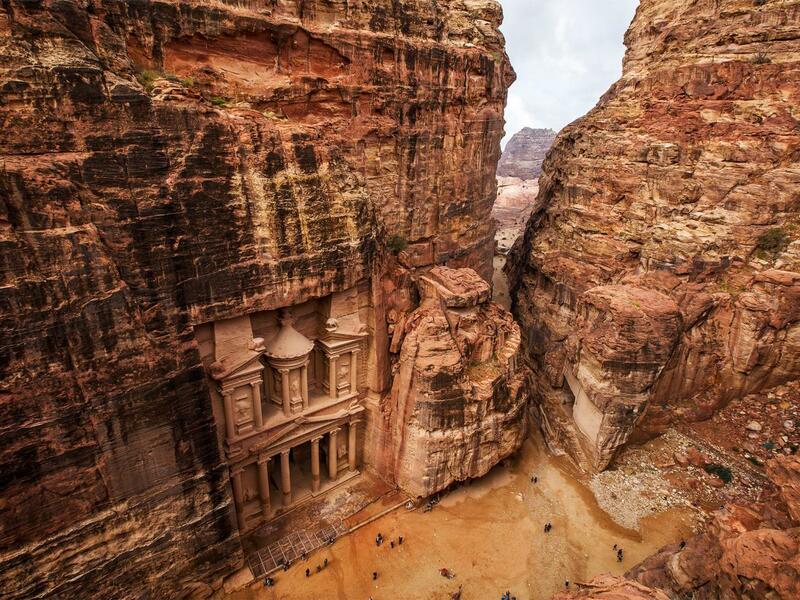 Petra was one of the most important cities in the Middle East, 2000 years ago. It is located in modern day Jordan and was the capital of the Nabataei people. It was a great trading centre and became a very wealthy town. It took the Romans many years to conquer as the only way into the town is through a very narrow gorge, approximately one kilometre in length, called ‘Wadi-Musa’. Consequently, Petra was easy to defend and dangerous to any attacker.Interesting Facts About Petra, Jordan Petra A rose-red city half as old as time; though these words sound like the opening lyrics to a love song, they’re instead penned by a poet and speak of an ancient civilization that carved evidence of their history deep into the soft sandstone rocks jutting toward the soft blue Jordanian skies.Wandering through the miles of sandy roads, the nubby domes of eroded mountains visible in every direction, I was overwhelmed the moment I stepped into this ancient civilization. How did they do it? Why did they carve such beautiful structures into the side of the towering rocks? And I wondered even more, since sandstone is so delicate, why is the evidence still here a full two thousand years later?10 Interesting Facts About Petra, JordanAlso called Al-Batrā in Arabic, Petra is a historical and archaeological city located in the southern Jordanian governorate of Ma'a. The city has managed to 'wow' the world with its elaborate stone-cut architecture as well as water conduit system. The city is also fondly referred to as the 'Rose city' due to the color of the stone out of which it is carved. Below are a few interesting facts about the city that may induce you into trying out the Middle East tourism.1. 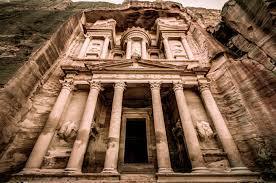 Among the Petra's amazing architecture, The Treasury is the most popular. It is estimated to be over 2,000 years.2. The Bedouin of the Arabian Desert has destroyed some of the most priceless carvings on the Treasury's walls. They used the carvings as the target during their shooting practice.3. The structures on most of the Petra Archaeological site have been weakened by the salt that is blown from the dead sea and which crystalizes on the building's columns.4. Petra is though to have been built during the Byzantine Era of the 5th and 6th AD when Petra became an important Christian center.5. 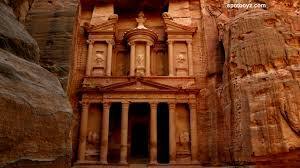 Petra is home to over 800 carved tombs.6. Petra is more popular for its 800 individual monuments that include buildings, tombs, baths, funerary halls, temples, arched gateways, and colonnaded streets, that were mostly carved from the kaleidoscopic sandstone.7. The city was first established in 312 BC; making it one of the oldest metropolises in the world.8. It is in Petra that King Aretas called for the arrest of the biblical Apostle Paul after he was converted into Christianity.9. Among the most popular monuments in Petra is the 2,100-pound sandstone bust of Dushara, Petra’s primary male deity.10. 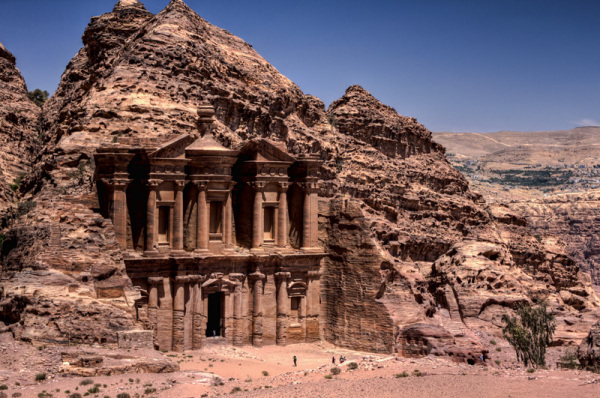 Petra is one of the evidence to Mankind that the Middle East was after all the most influential region of the world in the Middle Ages.Petra is a hidden gem that will take you through the history of Middle East like no other place. It easily rivals Jerusalem as a caretaker city of the Middle East history.